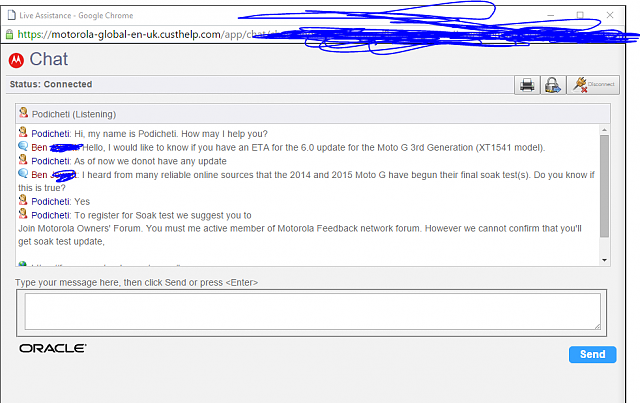 After a quick conversation with Motorola UK support I have been made aware that both the Moto G 2015 and Moto G 2014 have begun their final soak tests. The tests have begun in the UK (or US) as of yet however this means that the update will hopefully begin to roll out soon. I tried to get in on the soak test, but didn't get an invite. Hopefully we don't have to wait too much longer. Seeing as this soak test is final I would dare say we won't be waiting much longer. Can anyone explain why my old Motorola cliq was able to turn on again after a very long time?